Google has decided to stop filtering its search results in China after a security attack that targeted human rights activists in the country. The company said it - along with at least 20 other large companies - was the target of a highly sophisticated attack on its corporate infrastructure in December. The attackers stole intellectual property and Google said in a blog, "We have evidence to suggest that a primary goal of the attackers was accessing the Gmail accounts of Chinese human rights activists," something the company said the hackers did not achieve. There are also "dozens" of US, China and Europe-based Gmail users who advocate human rights in China who have been the target of phishing scams or had malware placed on their computers. The accounts, Google said, have been accessed regularly by third parties. Google said that the attacks and the surveillance it has uncovered, combined with "attempts over the past year to further limit free speech on the web", have led it to conclude it should "review the feasibility of our business operations in China. It said, "We have decided we are no longer willing to continue censoring our results on Google.cn, and so over the next few weeks we will be discussing with the Chinese government the basis on which we could operate an unfiltered search engine within the law, if at all. We recognise that this may well mean having to shut down Google.cn, and potentially our offices in China." The move was decided on by US executives, not staff in China. 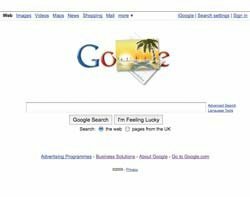 Google set up Google.cn in 2006 amid controversy over the censorship it would have to perform. The company said at the time, "The benefits of increased access to information for people in China and a more open internet outweighed our discomfort in agreeing to censor some results." Google said, "The decision to review our business operations in China has been incredibly hard, and we know that it will have potentially far-reaching consequences."